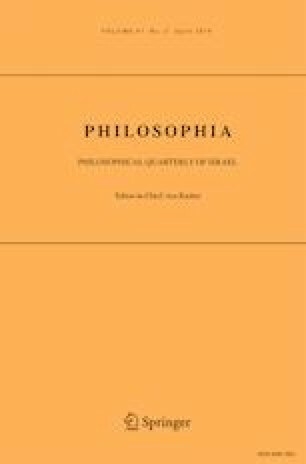 This paper draws on the underappreciated realist thought of Isaiah Berlin, Stuart Hampshire and Judith Shklar, rehearses their critique of moralism and extends it to a position which seems far from obvious a target: the dirty hands (DH) thesis, which is mostly owed to Michael Walzer, and which a number of contemporary realists (i.e. Mark Philp, Duncan Bell, and Hans-Jörg Sigwart) have recently appealed to in their endeavour to challenge moralism and/or tackle the insufficiently addressed question of what a more affirmative, realist public ethic might involve. In illustrating that the DH thesis is a thinly disguised brand of the moralism which realists reject, I shall not merely put some flesh on the bones of Shklar’s scattered, unsystematic objections to Walzer’s thought – the only realist who explicitly criticized his DH thesis. Rather, I wish to cast doubt on the internal coherence and ‘realism’ of contemporary realist positions which invoke that thesis and to illustrate that the discrepancy between Berlin’s, Shklar’s and Hampshire’s thought and the DH thesis: i) enriches our understanding of how we might wish to distinguish more meaningfully realism from the ideal/non-ideal theory debate; and ii) enables us to pursue a particular direction in which a more positive realist approach to public ethics and integrity might be developed – an approach which we might term Heraclitian realism, and which follows from their idiosyncratic, innovative, and radical account of the place of conflict in human life. Coady, C. A. J. (2014): The problem of dirty hands, in E.N. Zalta (ed.) Stanford Encyclopaedia of Philosophy. Available at http://plato.stanford.edu/archives/fall2009/entries/dirty-hands (Accessed: 16 November 2017). Hampshire, S. (1996): Justice is conflict: The soul and the City. Tanner Lectures on Human Values, Harvard Universeity. Available at: https://tannerlectures.utah.edu/_documents/a-to-z/h/Hampshire98.pdf (Accessed 16 Nov 2017). Sleat, M. (2014). Realism, liberalism and non-ideal theory or, are there two ways to do realistic political theory? Political Studies. https://doi.org/10.1111/1467-9248.12152. Tillyris, D. (2017). Political integrity and dirty hands: Compromise and the ambiguities of betrayal. Res Publica. https://doi.org/10.1007/s11158-016-9323-4.